A couple of friends just got back from a visit to Oaxaca, México and were kind enough to bring back some chícalas for me to taste. 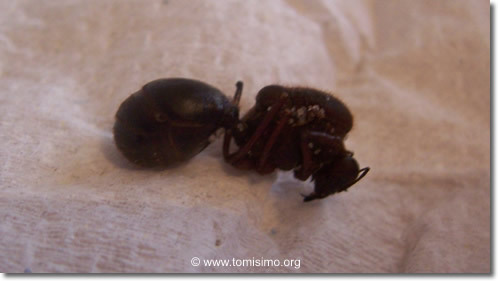 Chícalas are large black ants that have been toasted on a grill or in a frying pan. I thought you might want to see a close-up view. 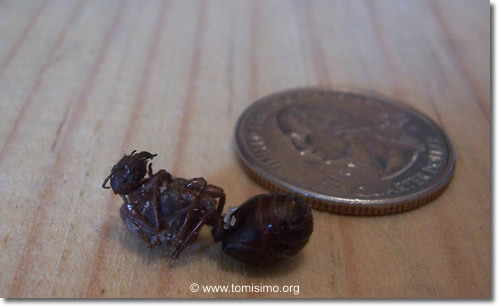 Besides these ants, there are some other insects that are commonly eaten in various parts of Mexico. Escamoles are ant lavae or eggs that are used to prepare different dishes. Seasonal and hard-to-find escamoles can go for as high as $30 to $50 a pound, and can be thought of as similar to caviar. This is on my list of things to do, and the next time I get a chance, I’m going to have to try escamoles. Maguey worms Gusanos de maguey (chinicuiles) are edible caterpillars that live in the maguey and agave plants. They are considered a delicacy and are often eaten raw, toasted or crushed in a spicy red salsa. That spicy red salsa is pretty good by the way. A chapulín is a big grasshopper. You can eat a handful as a snack or enjoy then combined with other foods. The word chapulín comes from the indigenous náuatl language. Of course, grasshoppers are known as saltamontes or saltones in other areas. Chapulines are toasted similar to chícalas. You can get a little bag of them for about $1.50, so next time you’re in Mexico, you have no excuses. After all this talk, aren’t you getting hungry? 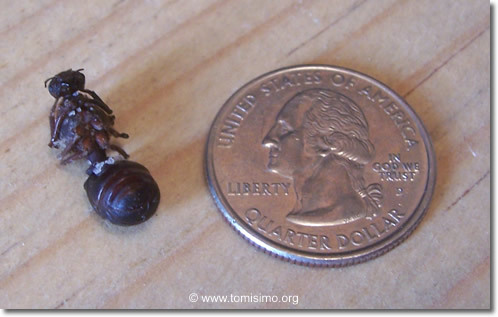 And if you think you have an aversion to eating insects, think about honey. It’s really just nectar from flowers that bees ingest and regurgitate a couple of times and then store it in a half-digested state. ¿No te encanta la entomofagia? I’ve never really wanted to eat bugs but I think I would try those. I dont want to take offense to our mexican buddies, but in my land according to what i used to eat and taste that is not a common meal to feed, though Latin american cultures varies too much, we have to accept their cultrue like they maybe accept ours. Those were typing errors, so i hope you apologize me. I don’t mean to come down on you but for someone who is a translator / interpreter you’ve made a lot of simple mistakes. I only say this because I also work in the translation and interpreting field and hope to help you. Do you translate to English or from English to Spanish. Apologizing is the act of asking for forgiveness by the person who committed the error. *That’s my personal definition not Webster’s. I think that those previous comments should be removed, including my last one, because they seem like spam. It seems Eduardo is simply promoting his services. @Aaron Just the Ants or all of them? 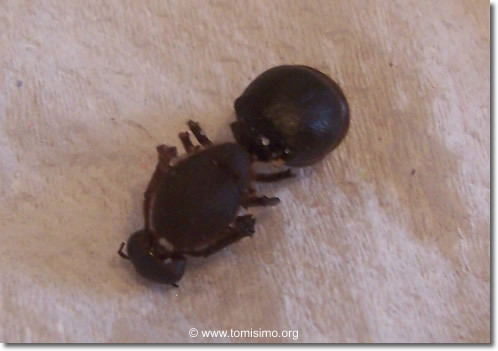 @Guicho Yes, I don’t particularly like the idea of eating bugs but they aren’t that bad. 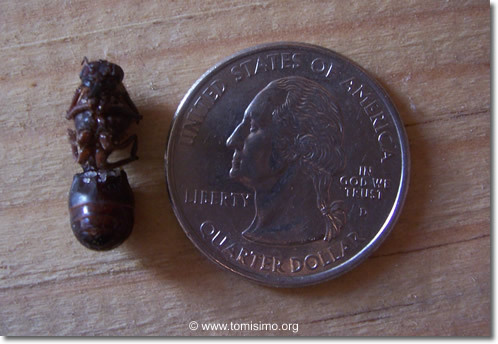 Also, even in Mexico eating these insects is only common in certain areas. @Aaron (Tempe) Yes, I see how it looks like spam, but I try not to be too heavy-handed in moderation. And if someone is looking for a translator, something tells me that after reading these posts, they won’t be contacting Luis. Yum! Thanks for working up my appetite! 😉 Good pictures of the ant, by the way. I hope those huge ants aren’t too common there, because I hate the tiny black ants enough as it is… I think I’d have a heart attack if I saw a trail of those monsters! But what do they taste like? I’d rather hear about it than find out for myself. Tastes are really hard to describe, so I think you’ll have to try them for yourself 🙂 But I’ll try anyway. The ant pictured tasted kind of crunchy with a strong peculiar pungent taste, and it didn’t taste like anything else I’ve ever eaten. It wasn’t a bad taste, it was just different.